Skin and Tonic is one of the newer brands on the market but one I wanted to talk about this Organic Beauty week. When I first tried and wrote about Skin and Tonic (Read that post here), I loved their fresh feel and less is more ingredients policy. 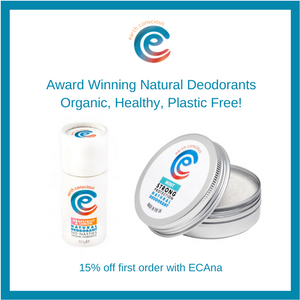 The more products I try from them, the more I like the brand and the products that they offer, they are for me everything a green brand should be. Skin and Tonic is going from strength to strength, this weekend making it on the shelves at Wholefoods, quite the achievement for such a young brand. 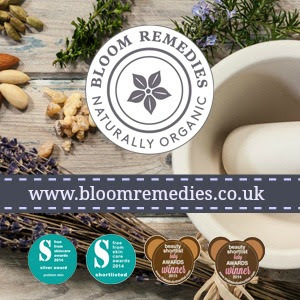 It’s also a fantastic brand for anyone with sensitive skin, all of their products have seven ingredients or less, making label reading a breeze, not only that, but they offer an unscented version of their British Beauty oil, perfect for anyone who can’t tolerate essential oils. Obviously as it’s Organic beauty week you will find the Soil Association logo on their products and I love the fact that every product comes in recyclable glass packaging. In my previous post I mentioned that I loved the feel of the oils in their balm cleanser but the essential oils included, such as mint didn’t love my sensitive skin. Imagine my delight when I discovered that they made a balm cleanser specifically for sensitivity. Calm Clean (£27 for 50 mls) has the same beautiful feel on the skin as Steam clean, with grapeseed oil, carrot seed oil, sunflower oil and beeswax. It also has essential oils of Jasmine Sambac and lavender, the scent is just as good as you would expect, gentle but soothing and perfect after a long day. The balm has a beautiful blue hue thanks to blue chamomile oil, I love that they made something so beautiful without a hint of synthetic colour, it makes the balm all the more special in my eyes. This balm needs to be removed with a cloth which is included, I like to really work it in to the skin as massage as long as possible to really leave it soft and plump. It will also remove make up, although I tend to use a separate make up remover that is on the cheaper side. You can also use the balm sparingly to moisturiser the skin. 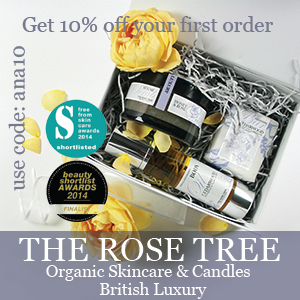 This is just such a gorgeous product, it shows that organic can be luxurious, effective and simple. The second step in any routine is a good toner and the Rose Mist (£20 for 100 mls) is simply a blend of Rose water and Aloe Vera. It has no alcohol, feels light and hydrating on the skin and cools as well as soothes, so is a good one to pack in your suitcase. Although I occasionally dabble with other toners, I have a preference for Rose water bases, this one works perfectly and I adore the simplicity of it. Last but not least we have a powder mask, I love mixing my own masks, it allows you to truly customise the mask to your skins needs and the powder format keeps the product fresher for longer. The Coco Mask (£22 for 50 grams) is simply a blend of coconut milk powder, kaolin clay, Aloe Vera powder and lavender oil. Kaolin is one of the gentler clays available and one I gravitate to for my skin, this mask works perfectly mixed with the Rose mist, but I also like to add a few drops of oils. When mixing your mask make sure you add water first and then oil, otherwise you end up with a mixture that you can’t easily spread. You can also add honey, yoghurt or other ingredients, that’s what I love you can really have fun with it! 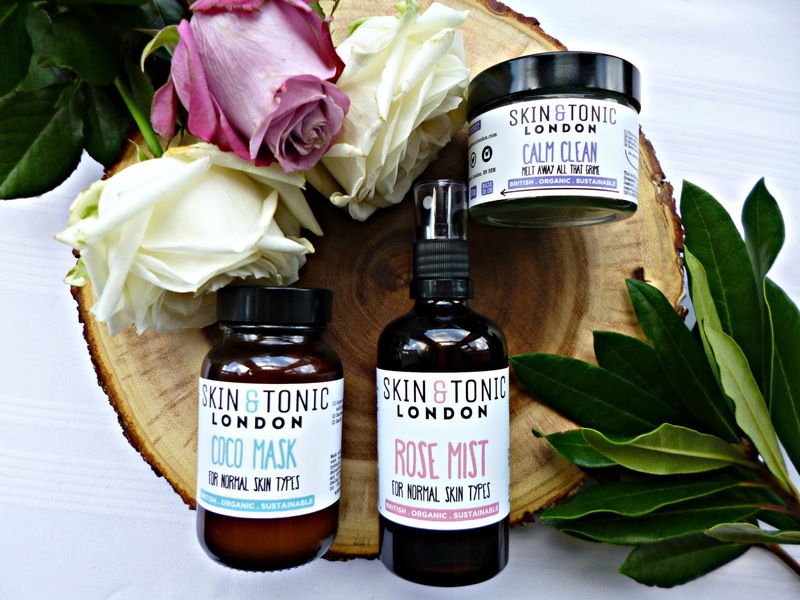 If you are yet to try Skin and Tonic then do give them a try, such a beautiful brand and great for all skin types. You can also find them at Love Lula and A Beautiful World as well as at www.skinandtoniclondon.com.